If you wear glasses and want to go to wearing contact lenses instead, you may be wondering how to convert your glasses prescription into a contact lens prescription. 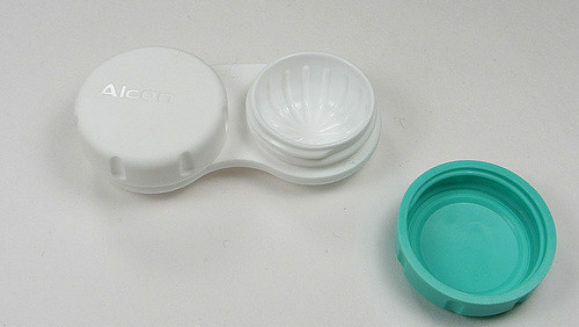 A prescription for contact lenses and one for glasses are not the same. 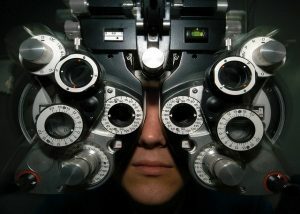 The difference between an eyeglass prescription and a contact lens prescription is how close the lens is to your eyes. 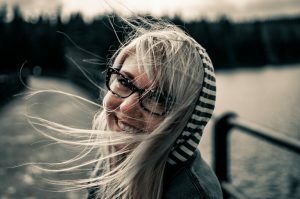 Glasses are worn a few millimeters from your eyes (maybe 12-14mm) and contacts are, of course, worn right on your eyes. Because of this and how bent light travels before it enters the eye, there is a complicated formula that can be used to calculate an approximate contact lens prescription from a glasses prescription, but it doesn’t always work out to be correct. You wouldn’t want to solely use that calculation as it won’t be exact. There are also other factors like the the radius of curvature and diameter of your cornea that need to be factored in as well. These measurements aren’t taken when you get a glasses prescription. If you have any astigmatism at all, that will also complicate things if you were to just use a formula or calculation. Your best option is to see an eye doctor and get a specific prescription for contact lenses to make sure they fit correctly and work the best in your eyes. The best solution to get a contact lens prescription is to see an eye doctor/optometrist and get an eye exam that’s specifically for contact lenses. The doctor can give you a prescription for contact and a prescription for glasses. You can then have each made for you. Your contact lens prescription will be good for one year. After that, you’ll need to go in for another exam and get another prescription written for you. An eye exam will cost you about $80 or so. Going to a department store that has an Optical Department will get you in that range. Seeing a doctor who has their own office might cost you more. Check to see if you have vision insurance coverage, which may pay for part or even all of the exam and maybe your contact lenses and glasses. At the exam, you’ll go through a series of tests. These tests are not just for your prescription but to test your eyes for things like glaucoma, cataracts, astigmatism, and so on. You’ll also have a series of lenses put over your eyes where you’ll be asked which lens works better for you. If you’re not sure which one is best, you can ask to see them both again. At the end, the doctor should show you what your lens prescription will look like. If you think it’s blurry or it hurts your eyes, make sure you speak up and let them know. At the beginning of the exam, make sure you say that you want a prescription for contact lenses to make sure the optometrist takes those measurements – like the base curve. You’ll also get a pair of free, sample contact lenses either right away or in a week. You’ll then wear them for a week and then come back to the eye doctor so they can see how they are sitting on your eyes. This especially matters if you have astigmatism (where your eyes are shaped more like footballs instead of baseballs). They may need to make an adjustment or if everything is fine, you then have your final prescription and you can go and order some contact lenses from any store you like. It is important to note that you can take that prescription anywhere. You don’t have to buy contacts through your eye doctor as their pricing might not be the best. Try several online retailers for contact lenses and check out their pricing. Your eye doctor may suggest a certain brand and if they do, then you’ll want to go with that brand as other brands might not be the best for your specific eyes. An example here is people with astigmatism, who may need different brands based on the level (severity) of their astigmatism. 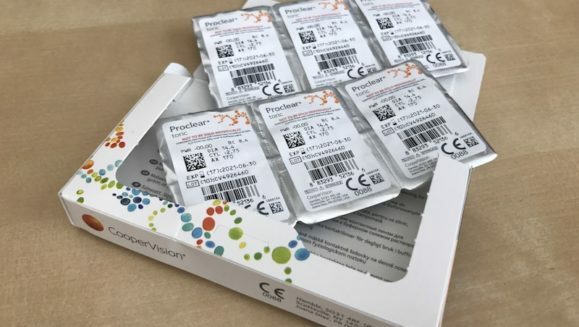 If you’re younger (under 35 years old) and your prescription isn’t changing much from year to year, you can get almost 2 years out of a prescription if you order another set of contacts near the end of your prescription (end of one year). This is if you’re ordering enough contacts to last you a year. Can you help me with figuring out my contact lenses prescription based on my glassses prescription? . . I been trying to figure this out but I am still puzzled. Thanks. You can try one of the calculators mentioned in our article. See if that helps you.